MogoBlog MogoLicious Tasty Tip of the Day: Because it’s Monday, and even good Mondays can be kind of blue, the timing is perfect to feature the Blue Monday cocktail. This is one of those really simple cocktail recipes that even beginners can put together perfectly. Shake with ice, strain into a martini glass. You can garnish it with an orange wheel or peel for color contrast, and to signal visually that the flavor of the drink will mainly be orange. You can jazz this one up by using a flavored vodka, so long as the vodka is clear in color (most brands are). Vanilla would be a fascinating choice. Citrus or orange would intensify the other orange flavors. Or you could make some Skittles Vodka for this, using Pineapple Passion Fruit Skittles from the Tropical bag (they’re blue). 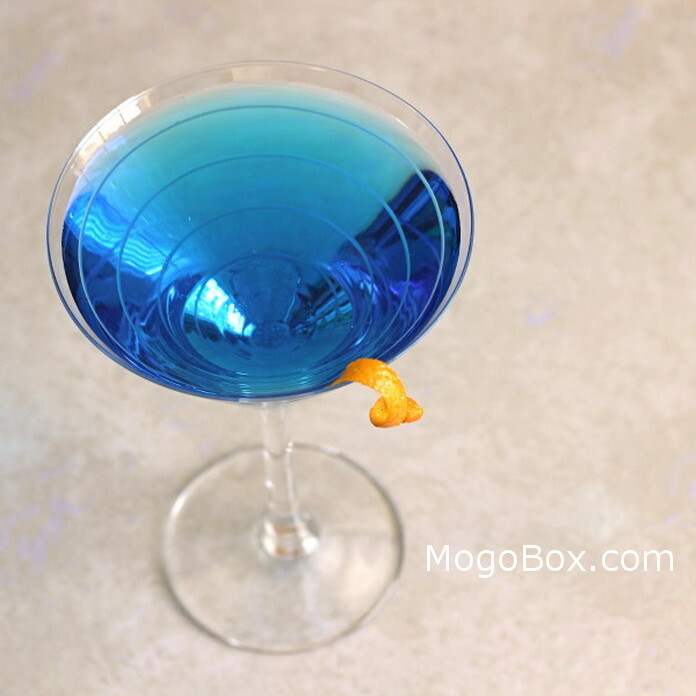 This entry was posted in MogoBlog, MogoLicious and tagged Blue Curacao, Cointreau, Monday, Triple Sec, Vodka.